nj arts maven: DREAMCATCHER ANNOUNCES 2017-2018 SEASON; SAVE 20% NOW! DREAMCATCHER ANNOUNCES 2017-2018 SEASON; SAVE 20% NOW! Love our shows? 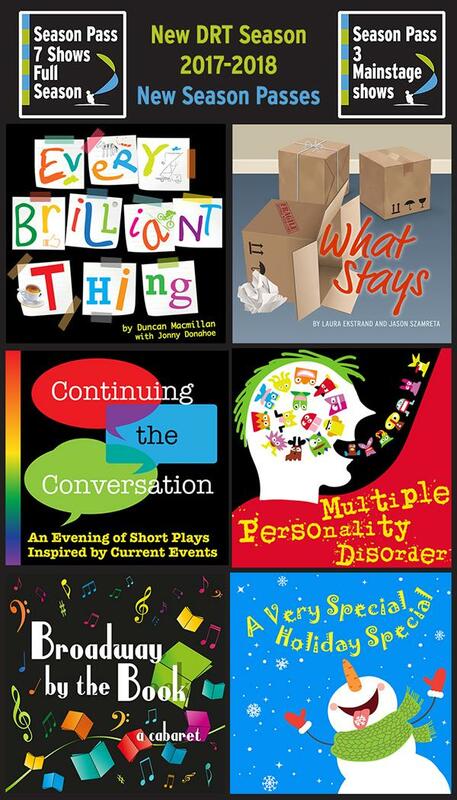 Want to continue supporting quality, local and intimate professional theater? Why not get a season pass to Dreamcatcher?! CHOICE - Choose the full 7-show season or the 3-show mainstage season available through October 8, 2017. SPECIAL INVITES - Season passholders sometimes get invited to private readings and other special events not open to the public.